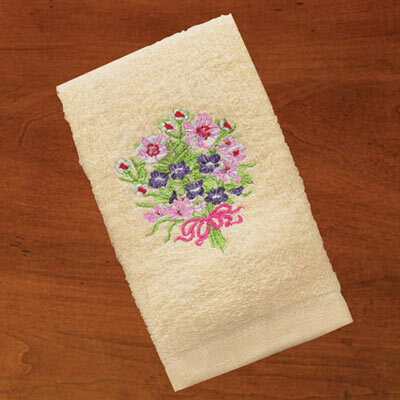 Our embroidered Embroidered Floral Bouquet towels brings the vision of nature to the bath. Towels are exceptionally soft cotton/polyester terry and graced with vivid embroidered images against an ivory background. Machine wash. Imported. Hurry! Quantities are limited!